“It is with great regret that we are forced to cancel tonight’s show in Oslo [Norway] as well as tomorrow night’s show in Malmö [Sweden]. “Alexi [Laiho, guitar/vocals] was rushed to the Oslo hospital earlier this evening with extreme stomach pain. The doctors in the emergency unit checked him and while we are still waiting for a diagnosis, they made clear that he will not be able to perform within the next 48 hours. 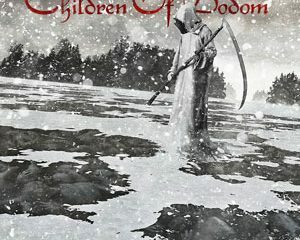 CHILDREN OF BODOM recently inked a worldwide deal (excluding Japan) with Nuclear Blast Records. The band, which kicked off a year-long celebration of its 15th anniversary with a successful North American tour alongside labelmates ELUVEITIE, has a new studio album planned for release in 2013. 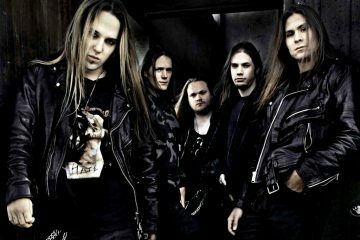 “Holiday At Lake Bodom (15 Years Of Wasted Youth)”, a very special CD+DVD career retrospective in celebration of CHILDREN OF BODOM’s 15th anniversary, sold around 600 copies in the United States in its first week of release. The effort spotlights specially selected tracks from every one of CHILDREN OF BODOM’s critically acclaimed albums (1997’s “Something Wild”, 1999’s “Hatebreeder”, 2000’s “Follow The Reaper”, 2003’s “Hate Crew Deathroll”, 2005’s “Are You Dead Yet?”, 2008’s “Blooddrunk” and 2011’s “Relentless Reckless Forever”), plus two newly recorded (and undeniably fun) cover songs and detailed liner notes penned by the members of CHILDREN OF BODOM themselves. The DVD portion of the package includes “candid touring and backstage footage from around the world”, plus the “Shovel Knockout” video.